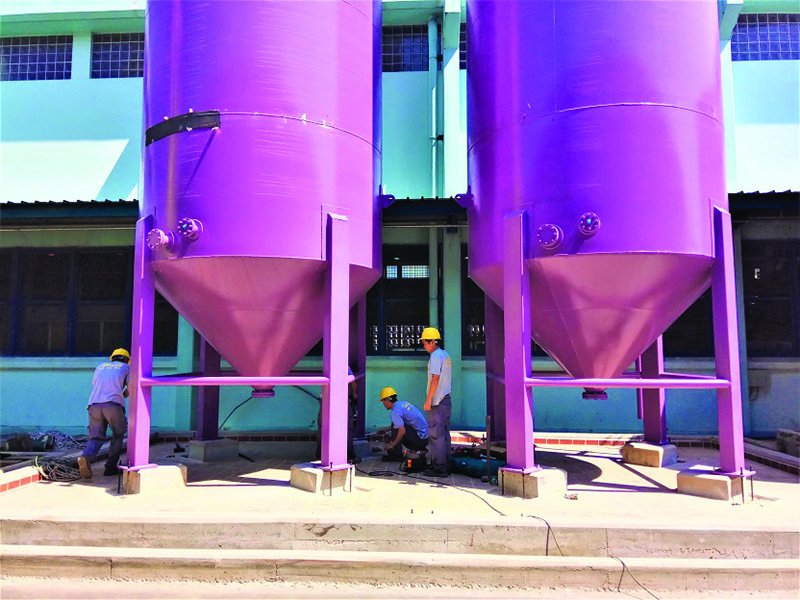 CEA Project Logistics Myanmar was contracted for the transportation and installation of two 18 Tonne vertical storage tanks at a Yangon brewery. 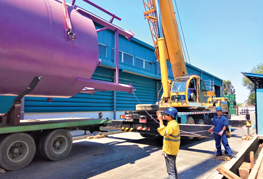 CEA Project Logistics Myanmar was contracted for the transportation and installation of two 18 Tonne vertical storage tanks at a Yangon brewery. The project would prove complex due to two cranes being required to operate in a very narrow location outside the facility. In advance of this installation project, CEA Engineering submitted highly detailed lift plans for approval by the client. 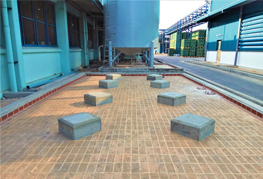 Before the arrival of the Tanks, CEA teams prepared the installation area and affixed anchor bolts to each concrete tank base. After the first tank had arrived both the 100 Tonne mobile crane and 50 Tonne tailing crane positioned themselves either side of the trailer in the narrow alley. All required slings were attached to both ends of the tank and the cranes began the lift. Due to working in such a confined space each tank had to be lifted above and clear of the adjacent buildings, the crane then turned and lowered each tank onto its concrete base allowing for final alignment and the anchor bolts to be fixed. 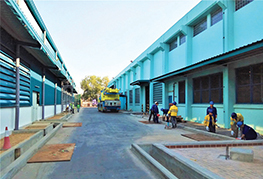 CEA Project Logistics Myanmar have quickly become installation specialists throughout the country with an impressive portfolio of completed projects. To learn more about these and other projects undertaken by the CEA group of companies, please visit our Case Studies page.